Studio: Reshet TV, Yes Cable Company, Lama Pro. Yossi, a gay man living a solitary existence in Tel Aviv is a perennially sad, workaholic doctor. His mundane routine is shaken when a blast from his past sets him on a journey of self discovery.Their brief but emotionally charged reunion unnerves Yossi enough to make him spontaneously leave Tel Aviv. It is only then, on the desolate roads of southern Israel, that an encounter with a group of lively young soldiers ignites Yossi's desire. Especially when Tom (the handsome Oz Zehavi) shows an interest in him. Heart-warming and sensual, YOSSI is an ode to love lost and love found, in situations where we least expect to find them so. 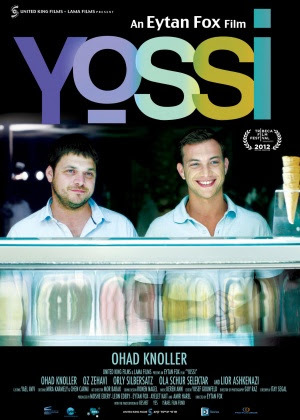 Returning to the role that won him TFF's Best Actor award in Eytan Fox's Yossi & Jagger in 2003, Ohad Knoller (Munich, Yossi & Jagger) gives another extraordinary performance as Yossi.